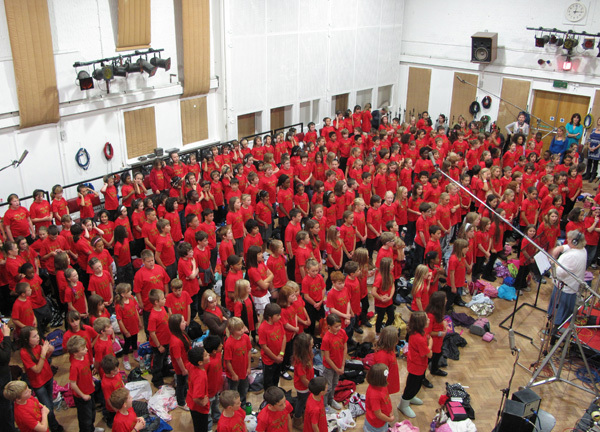 Since 2002 the Capital Arts Children's Choir, supported by sponsorship and grants, has run an education outreach scheme, Opera Minor, which, in tandem with local schools, gives rehearsal and performance opportunities to local children. Opera Minor has a strong community base and provides a unique opportunity for local children, from all backgrounds, to experience choral singing, opera and musical theatre. Opera Minor brings children together of differing ages and ethnic backgrounds to sing and make music together. Opera Minor builds on the successful choral tradition of the Capital Arts Children's Choir, with children working as a team and working together with a common aim. Opera Minor gives young children an opportunity to work with professional performers at the very highest level. It provides an exercise in quality of performance, discipline, commitment and social interaction. Opera Minor is without charge and therefore is open to every child who has an interest, irrespective of social background. Opera Minor works through schools alerting children of opportunities available outside of school. Children get involved with their school friends and have the backing and support of their schools. Opera Minor provides children with a cultural activity that has achieved recognition in the top ranks of the performing arts world. Opera Minor is an invaluable showcase for contemporary composers and directors and gives children a chance to première new works.